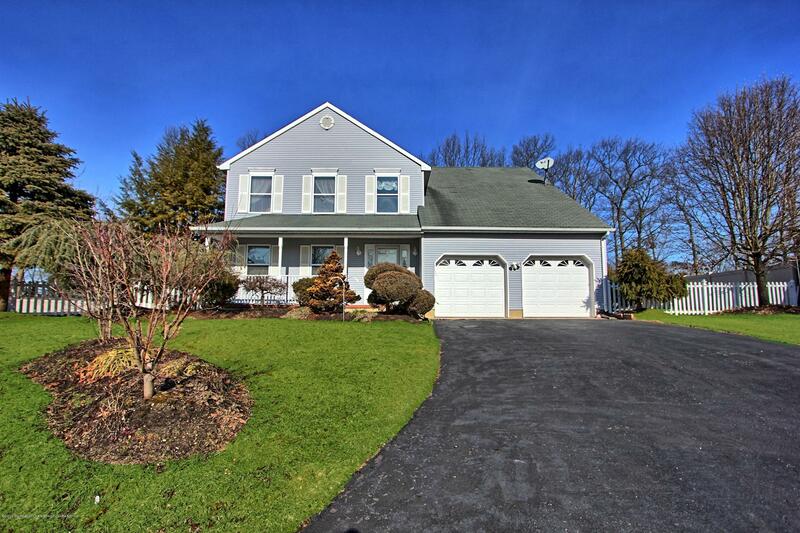 Meticulously Maintained +Move-in ready Colonial Home, featuring 4 Spacious Bdrms+Office, 2.5 Baths, 2-Car Garage +Full Basement on almost HALF an ACRE! Open Floor plan with LARGE Formal Living Rm, Dining Rm +Family Rm w/Hardwood Floors. Kitchen upgraded w/GRANITE Counters +Breakfast area w/Sliders to covered Patio and LARGE Fenced Yard. 2-Story Foyer leads to bedrooms upstairs PLUS *Bonus* Office Rm! Master Suite offers 2 Walk-in Closets +Private Bath w/Shower +Soaking Tub. DRY Full Basement w/high ceilings and Laundry area. Great Curb Appeal w/Mature Landscaping, 6-Zone Sprinklers +Relaxing Front Porch. Perfect Location on a cul-de-sac in the newer section of Brookwood 4. Close to Shopping, Fine Dining +Theme Parks. Easy Commute to Rt 9/I-195/GSP/TPK. Call Today For A Personal Tour!